unovis workshop» Blog Archive » UNOVIS 4. 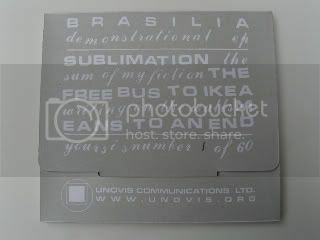 BRASILIA- Demonstrational EP CD-R.
« UNOVIS 3. Various random show posters/flyers. UNOVIS 4. 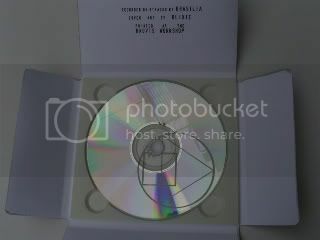 BRASILIA- Demonstrational EP CD-R.
BRASILIA- Demonstrational EP CD-R. Sixty numbered copies. Silkscreened, hand assembled folding digipak with silkscreened CD-R. Only available during the Brasilia/Intelligence Northeast and Midwest tour, April 2004. Out of print. Recorded on 8-track 1/4″ tape by Brasilia at the Woodser, Brooklyn NY. Cover art by Paul Clark (Blixie). Cover printed/assembled at the Unovis Workshop. Jennifer Sunderland- organ/vocals, Roy Styles- bass/synths/effects, Jeremy Scott- synths/effects, Jason Holmes- drums/synths/effects. 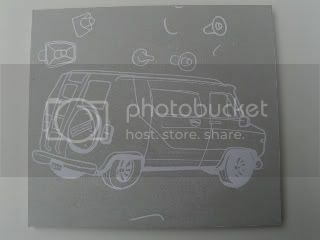 This entry was posted on Wednesday, February 15th, 2012 at 5:21 am and is filed under Brasilia. You can follow any responses to this entry through the RSS 2.0 feed. Both comments and pings are currently closed.